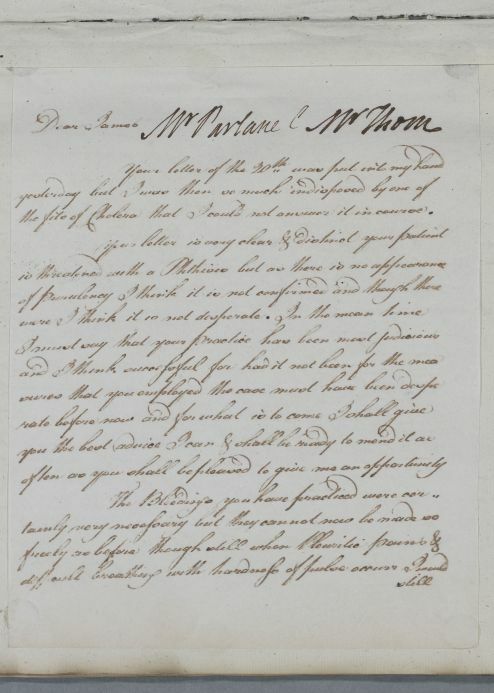 Reply to the Glasgow surgeon James Parlane concerning Mr Thom, who is 'threatened with a Phthisis'. Cullen apologises for not writing sooner, but explains that when the letter arrived he was 'so much indisposed by the fits of Cholera that I could not answer it in course'. Summary Reply to the Glasgow surgeon James Parlane concerning Mr Thom, who is 'threatened with a Phthisis'. 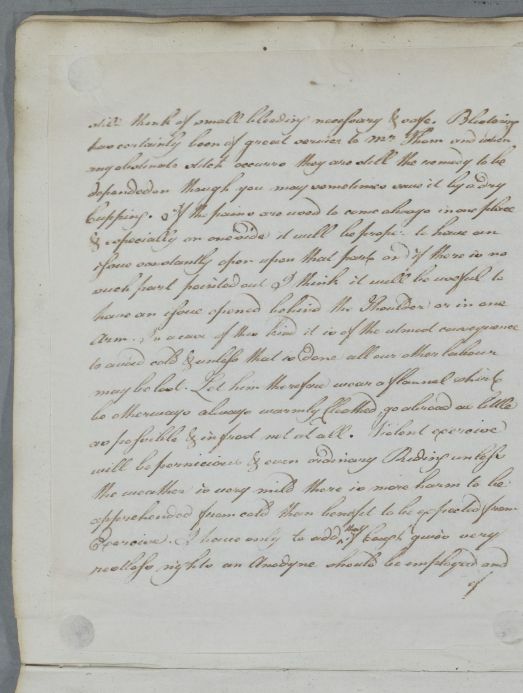 Cullen apologises for not writing sooner, but explains that when the letter arrived he was 'so much indisposed by the fits of Cholera that I could not answer it in course'. Case of Rev. William Thom, a Cullen family friend, who is weakened by a very severe, persistent cough. Case of Mrs Hunter, who is now very well. the fits of Cholera that I could not answer it in course. have been told she is very ill well. 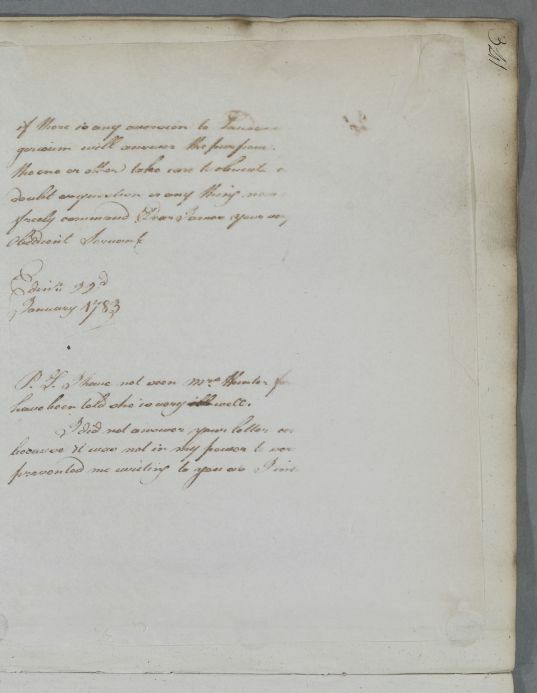 1: Cullen is probably repeating here that he has been indisposed by illness (see opening of letter).